Ah! The delights of YouTube! I am continually astonished by what one can find there. Consider the Australian TV show below that was produced in 1962 featuring the amazing Joan Sutherland. While I don't know this authoritatively, it's highly likely that it hasn't been seen since it was first aired, and now that it has found its way to YouTube, can be seen by far more people than saw the first broadcast. This is a huge change in how students of bel canto can learn their craft. Of course, hearing a voice live is a very different experience, and I can say from hearing Sutherland sing at Avery Fisher Hall in New York in a concert performance of Anna Bolena that the voice had a distinct quality that cannot be captured on a recording. And it was this: Sutherland's voice hovered in the air in front of one's face as though she was standing not more than two paces away. It was electrifying, and the kind of tone that I haven't heard in anyone before or since. Sutherland's singing below exemplary. 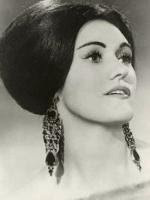 Her trills especially are flawless and a model for any singer today. I heard her once say that they were produced in the soft palate. A proprioceptive perception on her part? One might posit that this is where she focused her listening when producing it. In that sense, the trill is heard towards the middle of the head rather than 'forward'. Try it! First on thirds, and then on seconds, all the while hammering the upper note. The Old School teachers believed that its attainment signified a flexible throat. And since no one does it better than Sutherland, why not learn from the best?